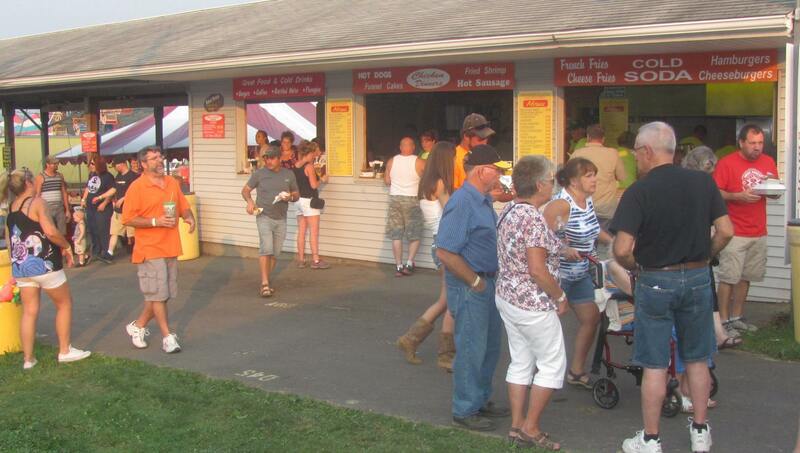 There are numerous food options at the Kiwanis Wyoming County Fair, including offerings by local fire companies (top) and churches. 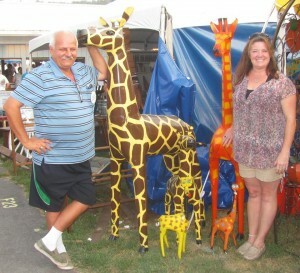 There’s plenty of unique items to buy, as well, like colorful metal lawn art displayed by Chuck Bullock (above, left) and Shelly Coberly. 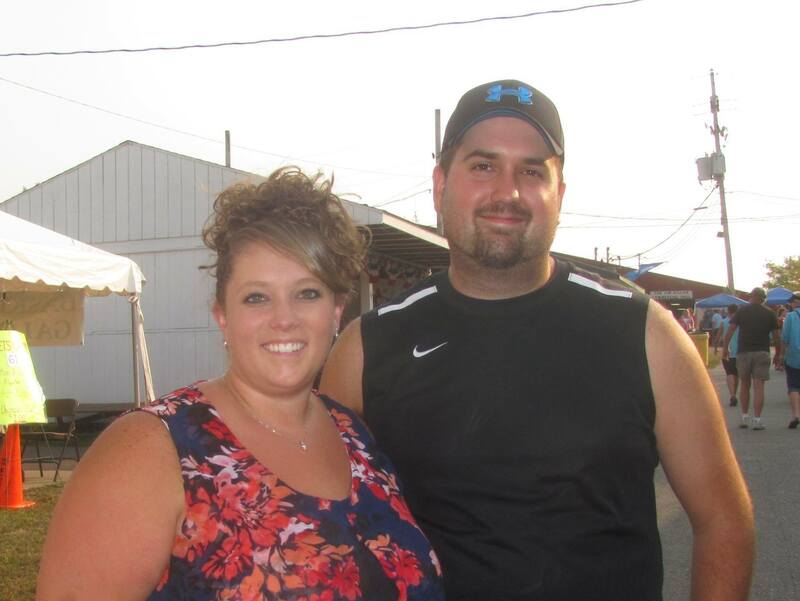 It was one of the hottest opening days in recent memory for the Kiwanis Wyoming County Fair, but that didn’t keep throngs of people from descending on the fairgrounds west of Meshoppen. 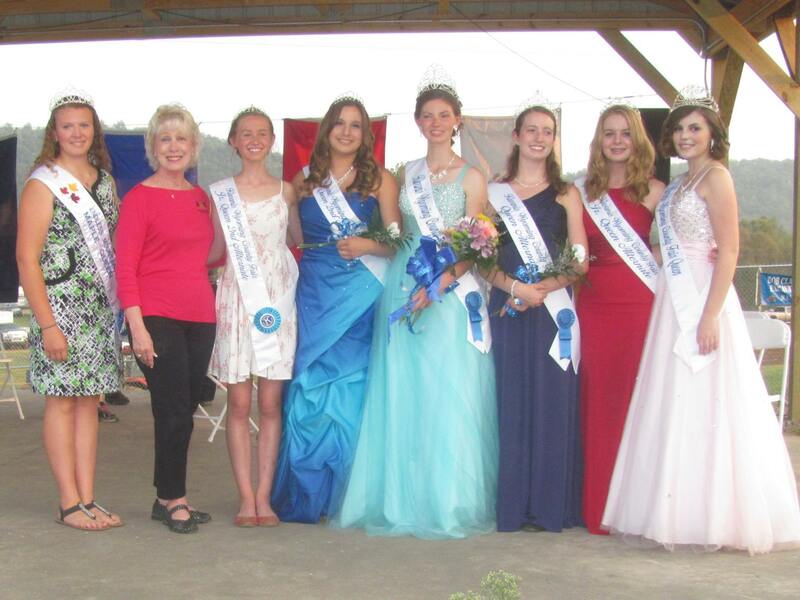 Highlights of opening day included the crowning of the 2015 Fair Queen and her court, a 5K run, truck pulls, and rabbit judging. 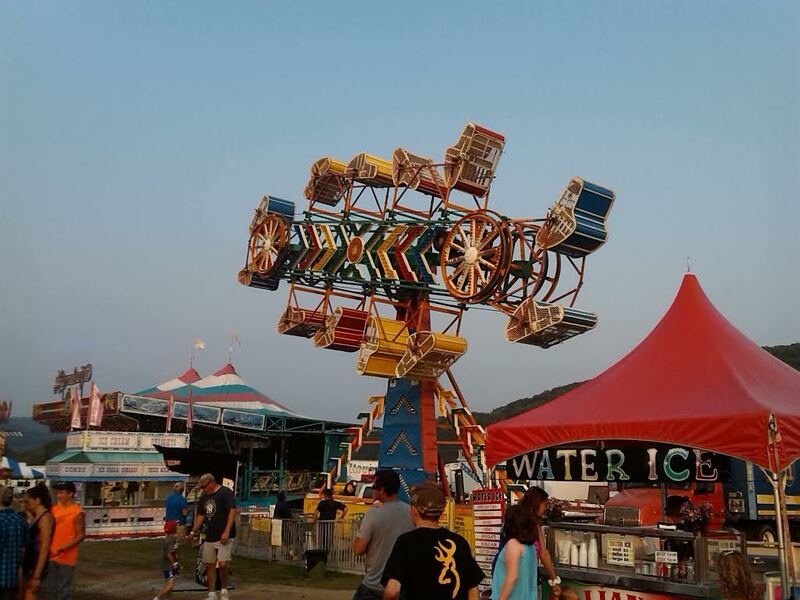 By nightfall, temperatures had fallen from the upper 80s into the middle 70s, providing some relief from the heat, as the lights came on and gave the fair an entirely new ambiance. 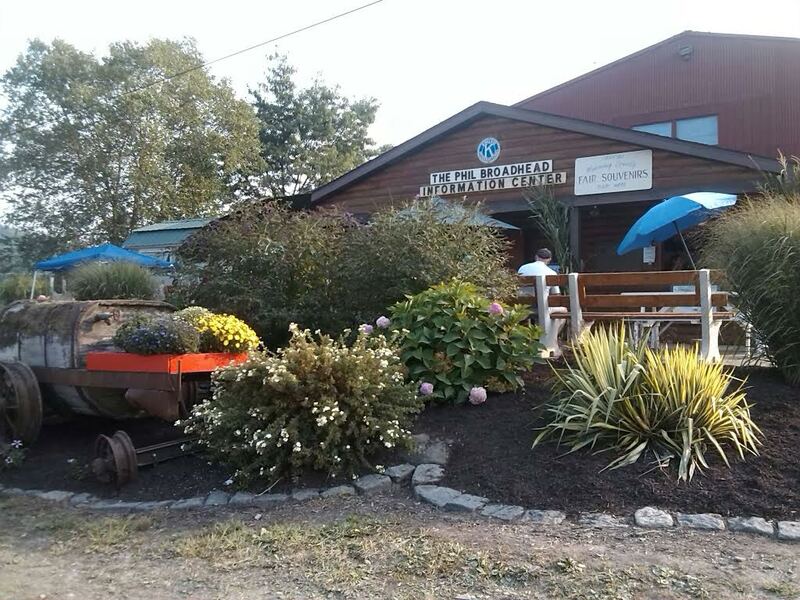 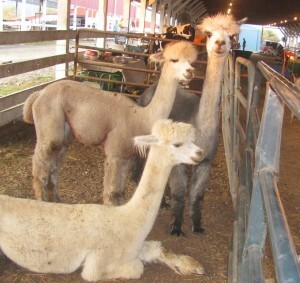 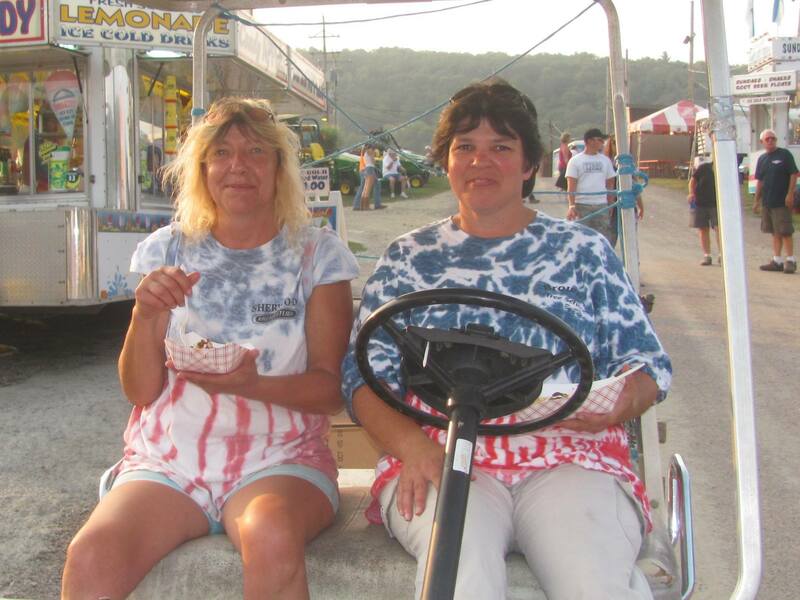 The Kiwanis Wyoming County Fair continues until Labor Day, Sept. 7. Alysha and Josh Miklo of Tunkhannock check out the midway before settling into their volunteer duties. 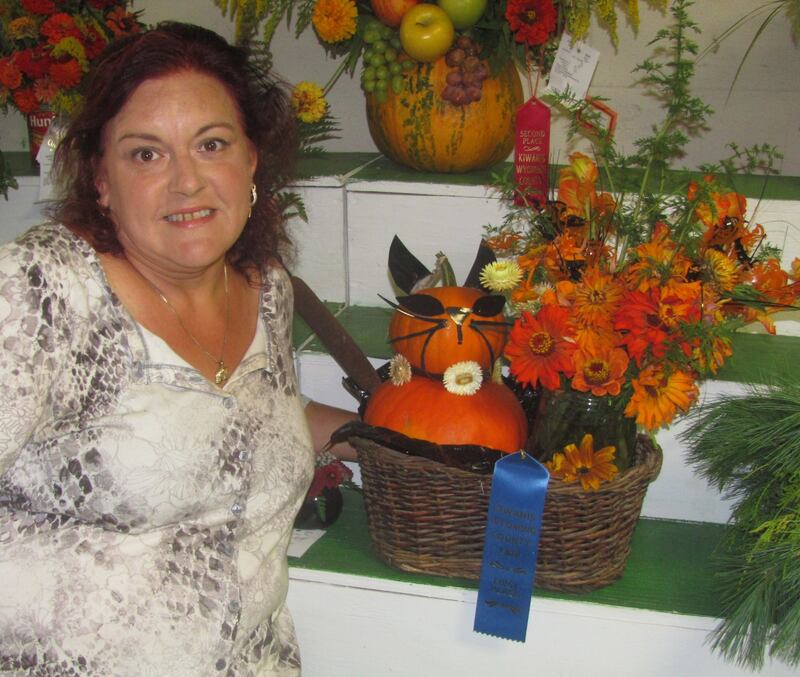 Roxanna Sklanka-Petit sits next to her prize-winning pumpkin display, complete with a real cattail. 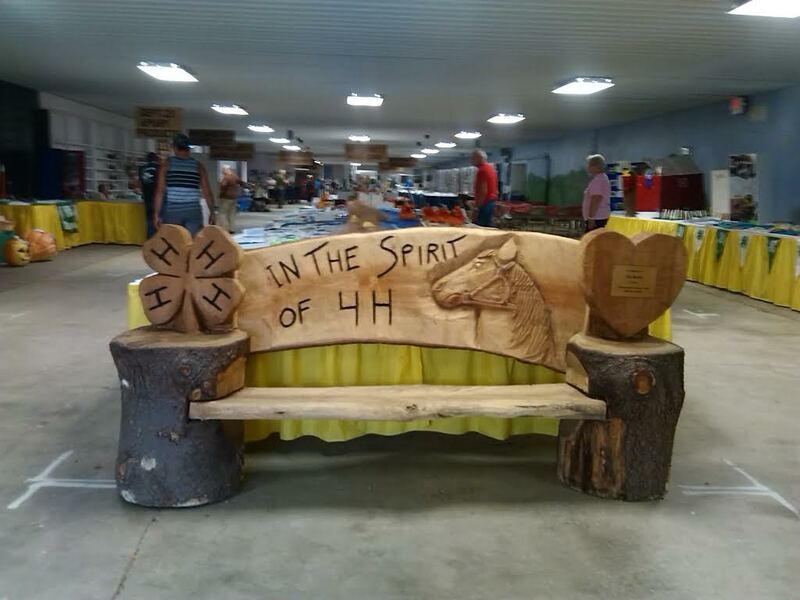 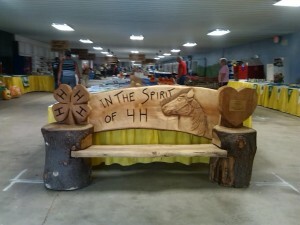 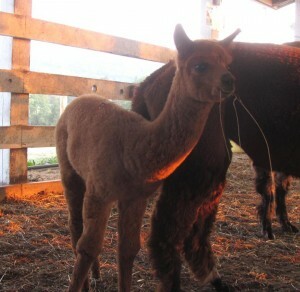 She started participating in exhibiting at the fair with the 4-H when she was 8 years old. 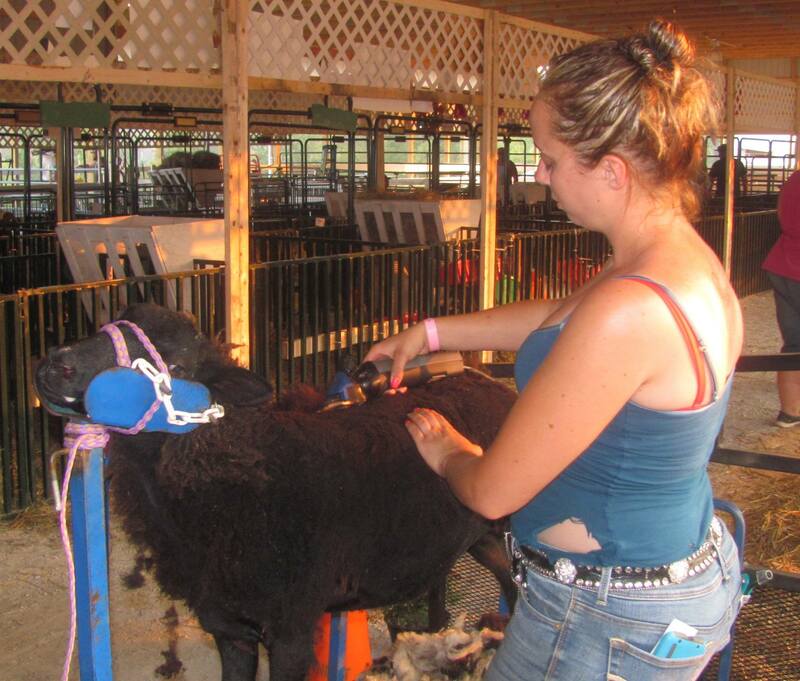 Katelyn Hugg of Lake Winola prepares her sheep, Melvin, for showing. 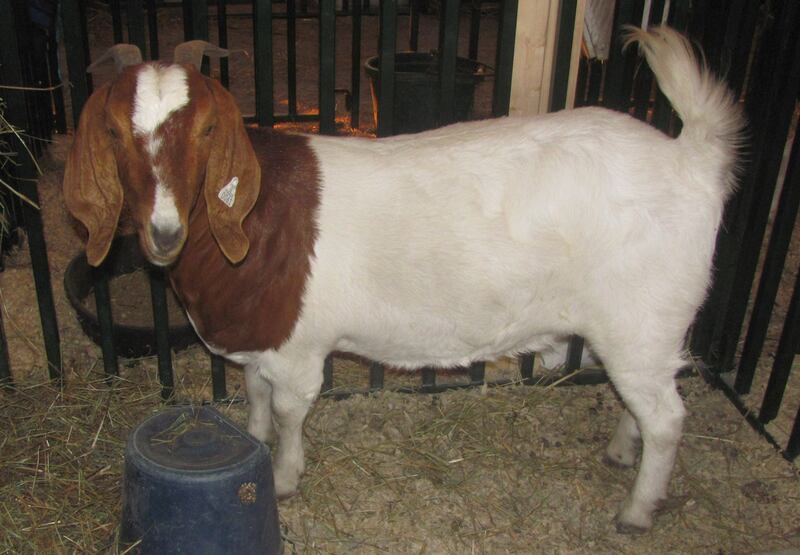 It was Melvin’s first appearance at the fair, but Katelyn has been showing animals there for 13 years. 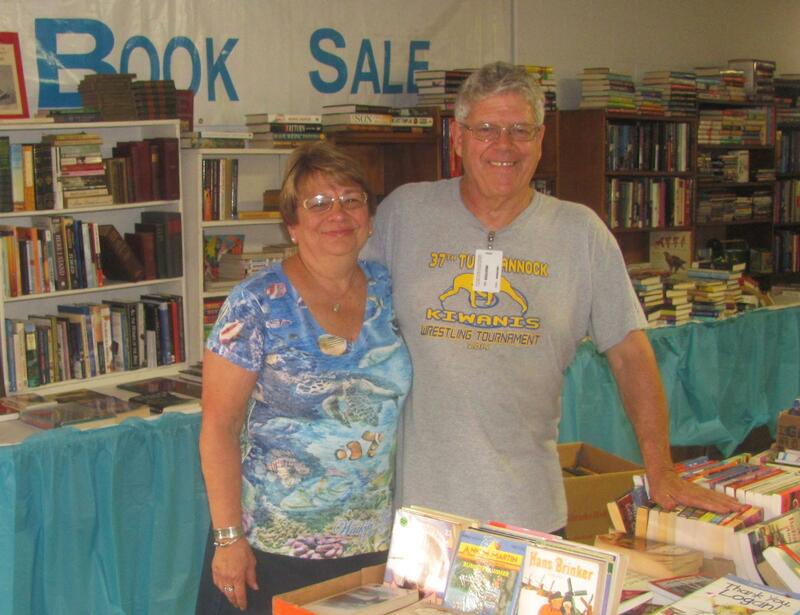 Pat and Frank Wadas were busy selling old books and other antiques. 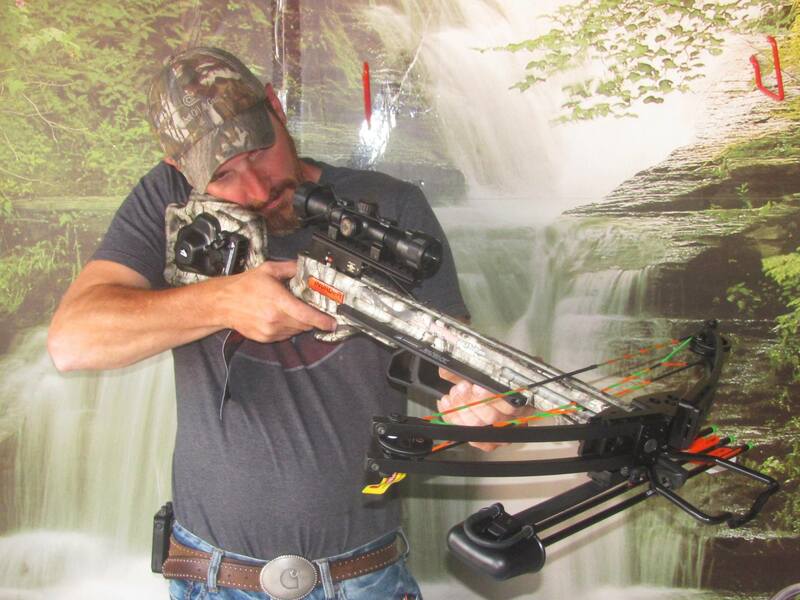 Rich Hersh displays a cross bow that will be raffled off by the FWM Fire Company. 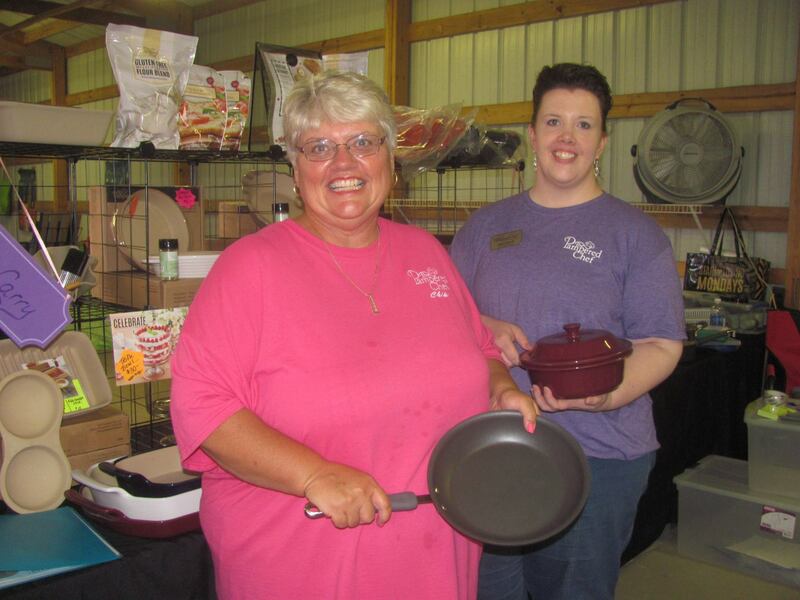 Chip Lines-Burgess of Meshoppen and Melissa Bunnell of Tunkhannock are back at the fair with their Pampered Chef gadgets and supplies. 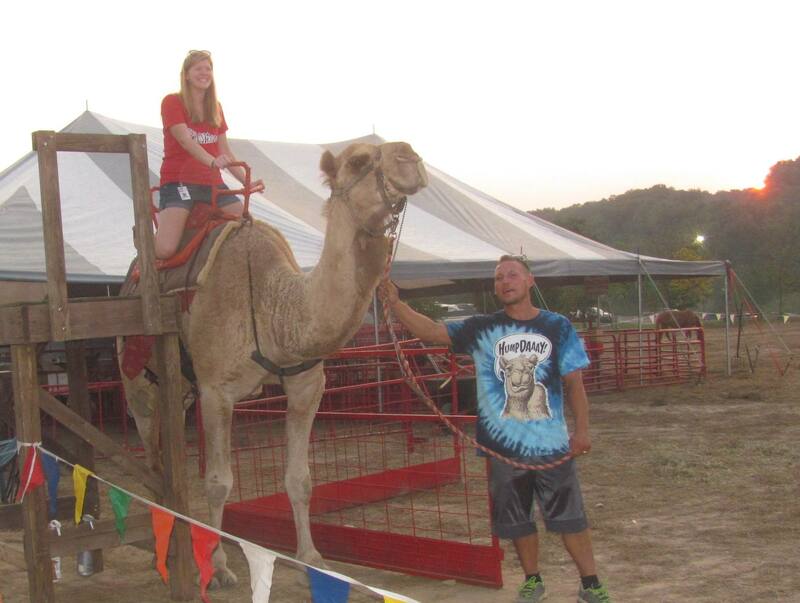 A camel ride at sunset provides a unique experience.